This post has been a long time coming!! I was thinking about it the other day and I honestly couldn't even remember what my brows looked like before. Then I look back at photos and it all comes flooding back!! The top photo above is from my wedding day (May 2011) and the bottom one is shortly after my touch up appointment (May 2017). While other features of my face have matured, my eyebrows have made the biggest impact in my confidence!! When I reached out to Jaclyn over at her Instagram account @Microblade.Me I had no idea how realistic it would be to make an appointment with her. While I was completely terrified about having some cut into my face (literally) I was so impressed with her previous work that I didn't doubt for a second if I would end up loving my new brows! She was kind enough to fit me in and we made my first appointment for later the next month! The top two photos at the bottom of this post were taken on March 28th before and after my first appointment. I still can't believe the difference after just the first appointment! Now let's get down to the nitty gritty details, shall we? I met with Jaclyn at her home studio in Saratoga Springs and we talked about how I wanted my shape. First I told her I wanted my brows to come in where they're supposed to because I'm bald there due to over-plucking. (Seriously, tweezer addict. Why didn't my family take me to a support group or something? Haha) I wanted clean lines and a nice bold brow. She drew a map, or shape guide, and removed some of the hair outside of that shape to help get clean strokes, and then we started the numbing process. She put a cream on my brow area and let it set. After the numbing had done its thing, she picked a color close to my natural hair color, dipped the blade inside and started doing the first pass. This blade is like 4-5 micro needles placed in a straight line. This is what gives each stroke a natural hair like texture and only breaks through the surface layers of the skin. The first few strokes were OUCHIE!!! Some people don't feel it, and some people do. My skin was extremely sensitive to it on the underside of my brows, the skin closest to my eye. She reapplied some numbing cream after the first pass, and for the rest of the time it was not painful, just somewhat uncomfortable. We stopped every once and awhile and she had me look in the mirror to see what I thought of the shape. After a few adjustments she had made all of my wildest brow dreams come true!!!! I left feeling like a million bucks! I don't think I realized how self conscious I really was about my brows. I have always appreciated my eyes, and now they had the most perfect frame! I could not be more grateful for Jaclyn's skills and willingness to help me! Your not supposed to get your brows wet, bathe or shower for the next 14 days/until they're completely healed. I still showered every day, but I only washed my hair twice and was extra careful to avoid getting water on my brows. After each shower I would get out and gently dab my brows with a dry microfiber cloth to remove any steam or moisture. I definitely recommend you follow your personal discretion with this. I just can't handle not showering every day. The pigment on your brows darkens the next several days after getting them done. It was kind of shocking how dark they got, but once they scabbed up the pigment starts to lighten again. The scabbing will start to ITCH and FLAKE. The most difficult thing about the process was not touching them or peeling the flaking! Every once and a while, if the itching was unbearable, I would take a sanitized fine tooth comb and gently itch the area that was bothering me. Again, I do not recommend doing this because it could potentially infect the healing area or remove the pigment before it's had the opportunity to sink into the skin. BUT I did it and I don't regret it. Hahaha! After all the flaking was done, I showered and washed/moisturized my face as I normally did before. I believe the reason my pigment stayed so well was because I moisturized the skin consistently after it had healed. A week or two before my 6 week touch up, I started to notice certain sparse areas of my brow as well as some grayness and made sure to make a mental note of them. The last two photos in the collage below are after I had healed completely and right after my touch up appointment on May 8th. The tails of my brows had come up a little gray after the healing process, and we decided to warm up my coloring and darken it the second time around. The strokes were still fairly painful even after numbing twice. Luckily because my skin took the pigment so well it was a minimal amount of cutting. I left my second appointment even more obsessed than I was before!!!! My confidence has sky rocketed since getting them done. I go out to run errands without makeup on all the time now, and that NEVER would have happened before without doing my brows first. It's saved me so much time in my makeup routine, which means my husband loves them too! HAHA! If you've considered getting them done, DO IT. Seriously!!!! Find someone on Facebook or Instagram who has consistent work and is someone you can trust to give you the eyebrows of your dreams! If you're in the Salt Lake and Utah county area, SEE JACLYN!! She's incredible! She also teaches microblading courses so that others can have the skills to offer this amazing and increasingly popular service! I know that was a novel, but I wanted to share all the details of my experience! If you have any other questions about the process, don't hesitate to ask Jaclyn or myself! I'm happy to help you jump over that fence! ;) Happy Weekend, lovlies!! A few months ago, we received a toddler feeding set from Re-Play Recycled and I was so excited! Up to this point we had only three types of dishes. Nice ceramic/glass tableware, children’s plastic bowls, and paper plates. I was using at least three plastic bowls a day, and who knows how many paper plates, to feed Turner’s bottomless stomach. It’s both annoying and wasteful. Re-Play tableware has changed that for me. Not only is this toddler feeding set perfect for separating food items for those stubborn eaters, it’s made from completely recycled plastic. Their products can even be recycled after they’re worn! (Watch a video about the process, here.) So I can rest easy know that I’m creating less waste and less dishes for me to wash. Because, ain’t nobody got time for that. This divided plate has been through the dishwasher sooooo many times, and every time it comes out looking brand new! I know it’s going to last me years and years. Actually, this plate is so durable you can run it over with a car and it won’t break. I’m serious, they tested it. With two destructive sons, that gives me a lot of comfort. When Turner saw them for the first time, he freaked out! He LOVES the color orange and couldn’t believe he was going to have a special matching plate, sippy and utensils of his very own. And I couldn’t believe how vibrant the color was! They have a whole spectrum of colors. If Turner didn’t love orange so much it would have been nearly impossible to choose just one. Sometimes it’s simple things like this that making feeding a stubborn toddler that much easier. I need all the help I can get around here. Let's just say It’s a good thing he’s cute. I mean, just look at that face! He loves his toddler feeding set, and so do I! 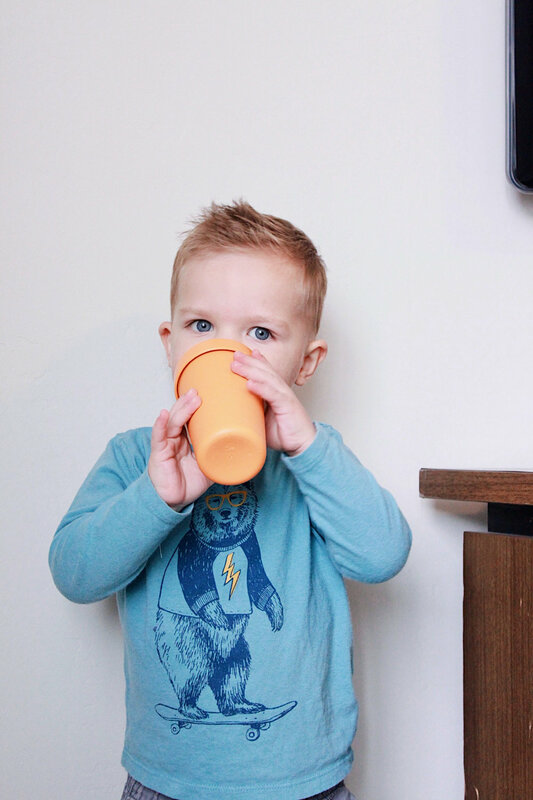 That's why I've teamed up with Re-Play Recycled to give away a Toddler Feeding Set to one of YOU! Enter using the rafflecopter below! 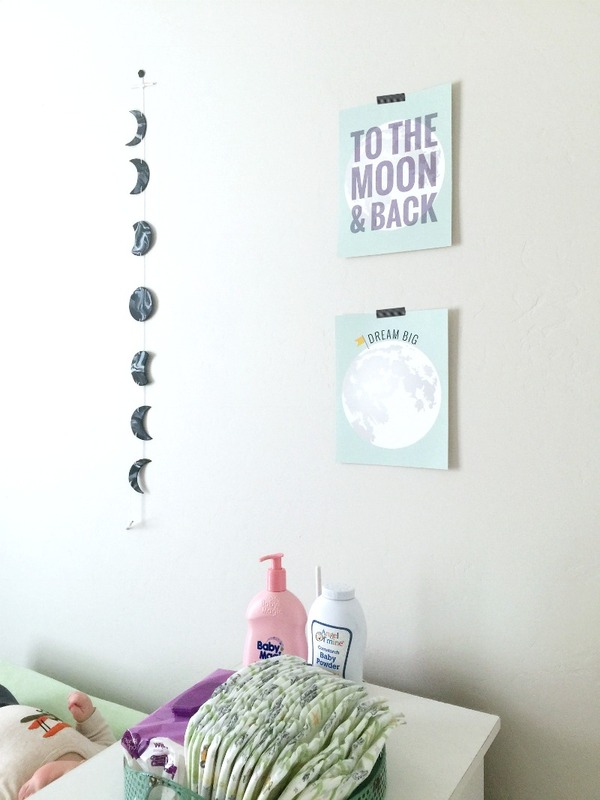 Custom Moon Prints from Breezy & Co.
No Heat Waves with Savvy Curls Wraps! 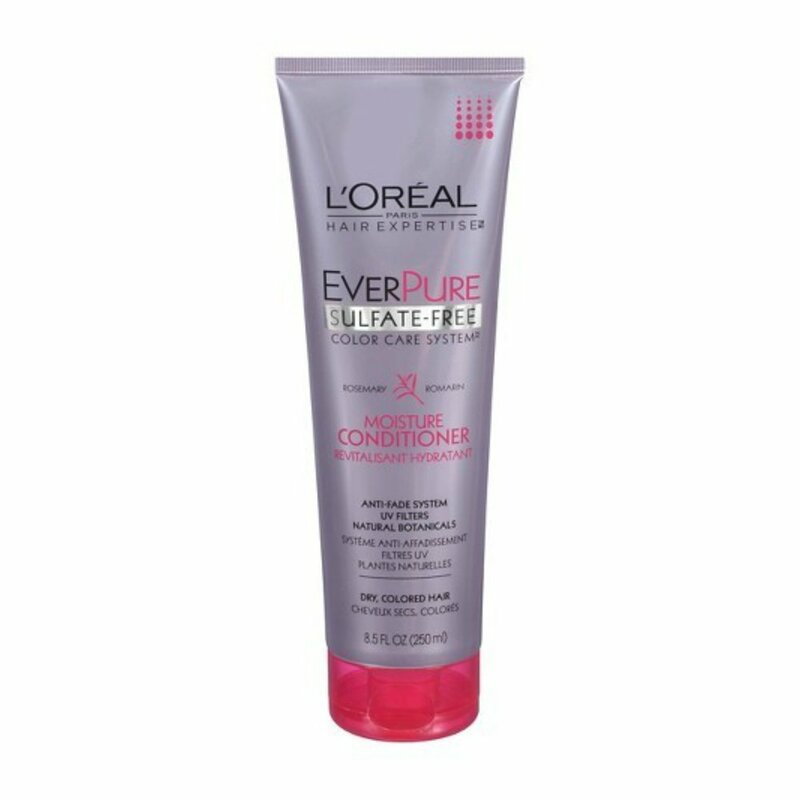 A couple of weeks ago, I received this surprise VoxBox in the mail from Influenster and I received these free L'Oréal EverPure Color Care System Products. I was so excited because my hair is still so damaged from being lightened almost a year ago. I've never used a sulfate free hair product before and I was very curious how it would effect my hair. I washed my hair the next morning because I couldn't wait! The first thing I noticed about the shampoo was the incredible smell. It has such a relaxing and refreshing scent. I felt like my shower became an in-home spa. Even my husband loves the smell. He's very sensitive to strong smells, so that's kind of a big deal. It lathered beautifully and when I rinsed it out my hair felt like silk! I've never experienced that with any shampoo before. I couldn't believe it! The conditioner just enhanced the softness even more. I could tell my hair was cleansed, but not completely stripped of it's natural oils. When I got out of the shower, I lightly towel dried my hair and then sectioned it out to prepare to spray it with the 10-in-1 Elixir. Then I spritzed to my hearts content, focusing mostly on my dry ends and less on my scalp. A little definitely goes a long way with this product. After a couple weeks of regular use, I can tell a huge difference in the way my hair looks and feels. My ends are truly being moisturized and strengthened. It leaves my hair with a beautiful shine, and not at all greasy. I've been super impressed in the short amount of time I've used it, and know the results will continue to impress me with continued use. Give them a try yourself, by clicking the images below! And while you're at it, sign up on Influenster to receive free products to try and review! This post is extremely over due, because I received these custom prints from Breezy & Co before Grey was born andddd now he's six months old. Sorry, Bri! When I told her what I wanted in my nursery she started designing me these pieces and kept me in the loop throughout the design process. I couldn't be happier with how they turned out! You can buy these same prints in her shop, here and here. 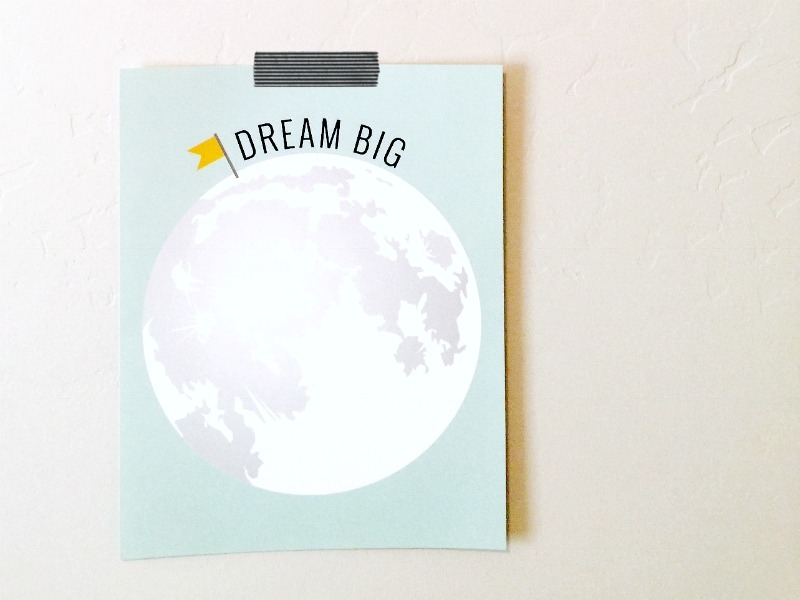 How cute is this extra print she included in my package to pay it forward? It made me SO happy to turn around and share this sweet print with someone else. There's nothing quite like the feeling you get when you uplift and serve others. So just go check out Breezy & Co. I promise you won't be disappointed. As you may already know, Matthew and I upgraded to a king size mattress after 5 years on a hand-me-down full size mattress. (For which we've been extremely grateful.) But I don't think we realized how much that old mattress effected our sleep. We've been doing a lot of research on mattresses for the last year or so. We considered tuft and needle, casper, purple, and every up and coming mattress company you can think of. That's how we stumbled upon GhostBed. It was really important to us that our mattress was soft, but supportive. We also needed a mattress that kept us feeling cool all night long, something our memory foam topped mattress wasn't doing for us. The GhostBed had great reviews in both of those aspects, with the most affordable price. They have a 101-night sleep trial so that you can test your mattress, and after 30 days if you don't end up loving it you can return it for a 100% refund. PLUS every mattress comes with a 20 year warranty as long as you have proof of purchase. It was worth giving it a try, because if all else failed we knew we could return it and get our money back. After the 30 days, I can happily say it's the best sleep I have ever had. And I owe it all to GhostBed. Maybe the fact that my baby is sleeping through the night deserves some credit too. I cannot believe how much more refreshed my body feels each morning and my bed has become one of my favorite spots in my house. You know you love it, if you never want to leave it. Thanks, GhostBed! This wife and her hubby are satisfied sleepers. And if you're in the market for a new mattress, MAN do I have good news for you! Use this link today to shop for your very own GhostBed and get $50 friend discount when you proceed to checkout! You're welcome ;) and happy sleeping!